Join us as we celebrate 45 years since the filming of ‘The Railway Children’ right here at the Keighley & Worth Valley Railway. The Railway will be running a special timetable using some of the coaches from the film on a vintage train. Well known scenes from the film will be re-enacted around the Oakworth area where tea and buns will be served. In addition there will be guided tours of Oakworth Station and also of locations used in the film well known to generations of children and adults alike. Every day – programme of events including historic coaches used in the film and rides behind ‘Sir Berkeley’ in a rare vintage coach. The Railway, through the dedication of long standing volunteer, ex-Oakworth station master and Haworth Station employee, Jim Shipley, has released a new edition of the best-selling book on the making of ‘The Railway Children’ which is available now from Haworth Station and is selling well, so don’t miss your copy. First published in 2010 to coincide with the film’s 40th anniversary celebrations, this updated and enlarged third edition is crammed with memories from many of the volunteers and locals who worked on the film and there are over 140 photographs, many previously unpublished. Read more about this excellent book about the iconic 1970s film, click HERE. 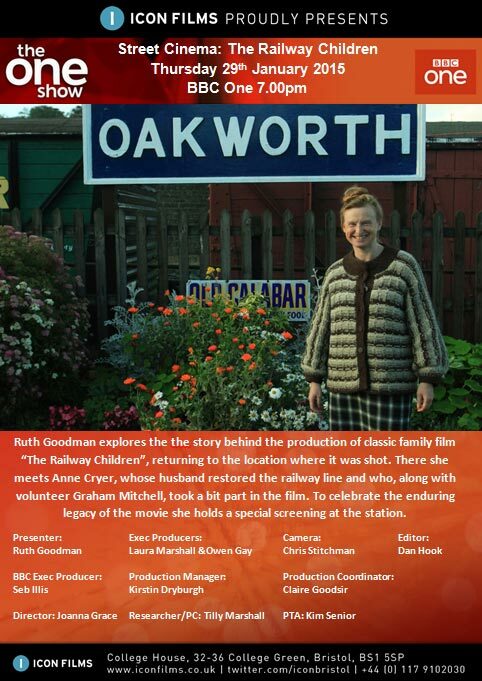 Not to be missed, a new insight into the making of The Railway Children, presented by well known TV presenter Ruth Goodman. The Railway, through the dedication of long standing volunteer and Haworth Station employee, Jim Shipley, is releasing a new edition of its best-selling book on the making of ‘The Railway Children’ which will be published in March and available from Haworth Station on 2nd March. Mother, fathers, grandmas and granddads, it is The Railway Children weekend this weekend, an ideal time to take the children and grandchildren to your favourite railway. Click here for the days’ special timetable. Model train manufacturer, Bachmann, has announced the introduction a range of highly collectable railway gift packs that evoke the nostalgia of Britain’s historic railways. Of greatest interest in this series of three packs is ‘The Railway Children’ pack. These are not the traditional train sets as these packs do not feature track but instead feature a locomotive and rolling stock. The pack for The Railway Children includes our GWR 0-6-0 Pannier Tank 5775 in the GNSR livery and two GNSR livery coaches (as featured in the film). In addition the pack includes a specially commissioned Scenecraft Oakworth station to complete the scene and a certificate to mark the purchase. We will keep you informed as to when these exclusive products will be available are they will make wonderful gifts for the seasoned collector or that special someone. Others in the series, all featuring ex-GWR locomotives, are The Shakespeare Express and a First World War Ambulance Train. As part of their studies, Year 3 children at Merlin Top Primary Academy in Keighley are reading ‘The Railway Children’ and watching the film and, to help bring their studies to life, 50 children and staff spent a day on the Railway in November. On a cold and frosty morning the children were transported by Diesel Rail Bus at Oxenhope to Ingrow for a visit to the Vintage Carriages Trust museum, stopping at Oakworth en route so that the children could see where the film had been made. After an enjoyable time in the museum it was back on the Rail Bus to Keighley and return to Oxenhope for lunch. The children ate their packed lunch in the Buffet and then visited the Exhibition Shed where they had photographs with the Railway Children cut outs. The children have written to the Railway to say how much they enjoyed their day and the staff commented that it was one of the best school trips they have done. For some children the highlight was the ride on the rail bus, for others the carriages in the Ingrow museum, for others going on the footplate of Lord Mayor or visiting the Exhibition Shed and for some, simply having their lunch in Oxenhope Buffet. It’s Christmas time, and as well as Santa Clause travelling every weekend between Oxenhope and Keighley, you can be sure of one thing – The Railway Children will be on the television at least once during the festive period. The film had its Christmas exposure today and appropriately we bring you a video that may have passed you by. Having been made over 40 years ago and been the subject of an award-winning book by long serving member Jim Shipley – Making of the Railway Children – the film was the subject of an edition of On Location, a documentary charting the making of the film and the way the Railway and some of our officers, in one way or another, contributed to the lasting success the film enjoys. Although first aired a few years ago, it is possible that many of our readers missed this excellent documentary and, so, we are pleased to bring this video today for your enjoyment. Presented by actor John Middleton, more familiar as Ashley Thomas in Emmerdale, this is a nicely presented 10 minute cameo and we are delighted to bring it to a wider audience. 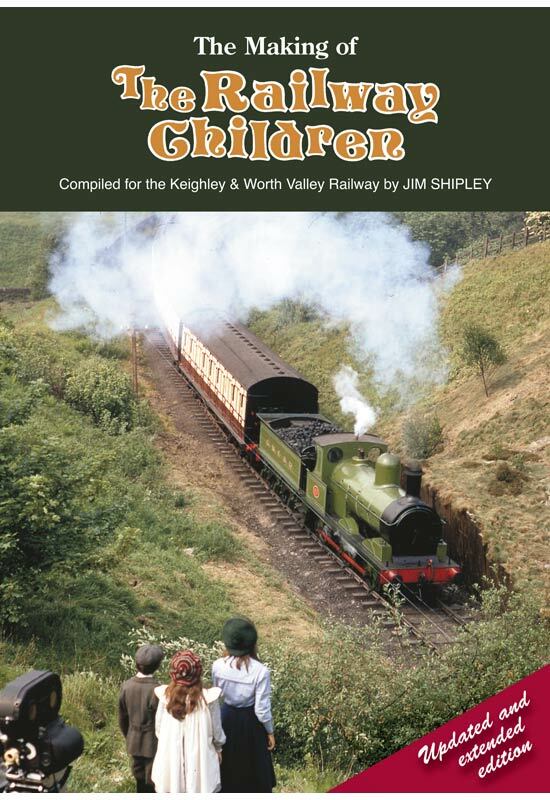 Interestingly, The Railway Children is referred to as “our film”, due testimony to the manner in which the film and the Keighley & Worth Valley Railway are intrinsically linked. Earlier this year the Railway held a Railway Children Day and this superb video visits all the locations used in the film.